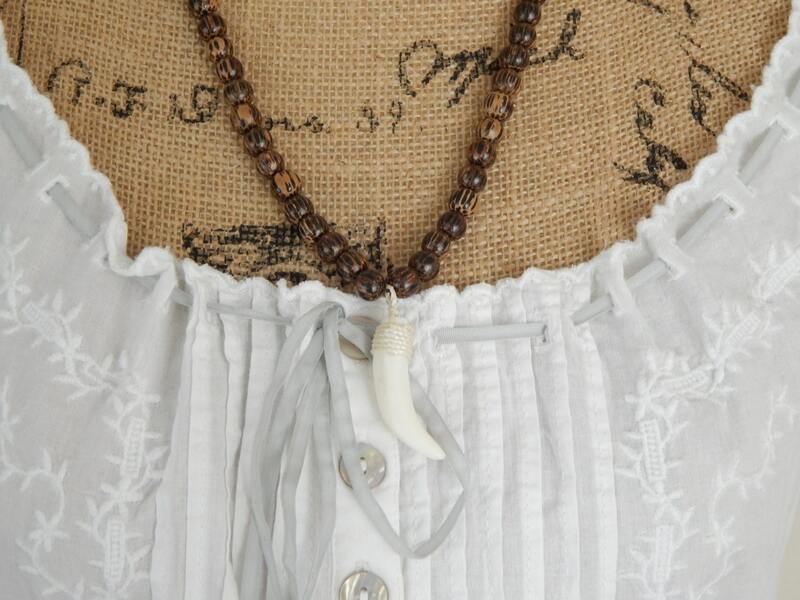 A white tusk pendant hangs beneath a chain wood beads. 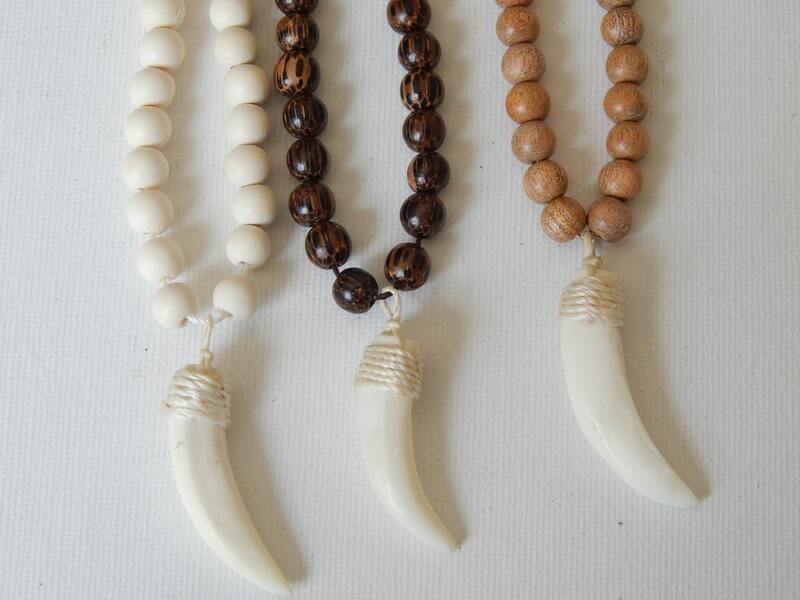 Perfect necklace for the summer and the length makes it a great layering piece or wear alone for that perfect bohemian look. Choose from 3 colors. Make your selection at checkout. 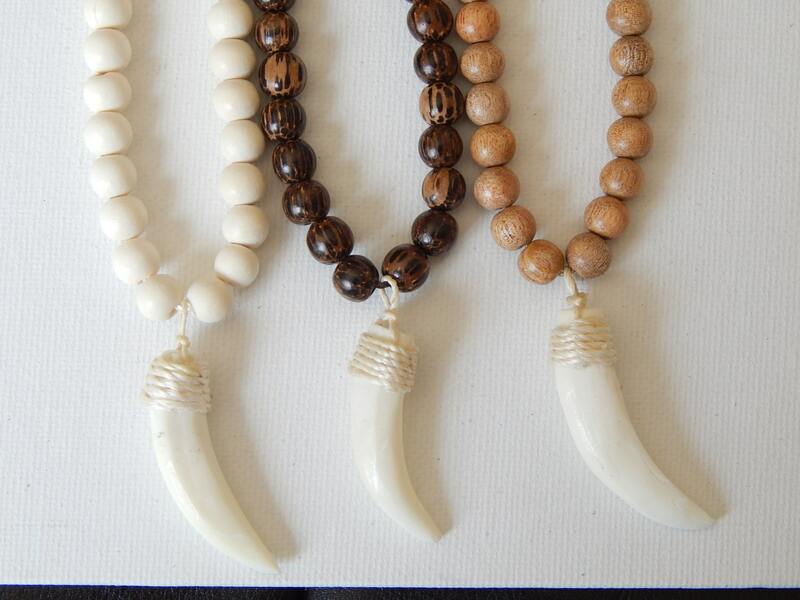 Necklace length is 22 inches (long enough to slip over your head) beads are 8mm. 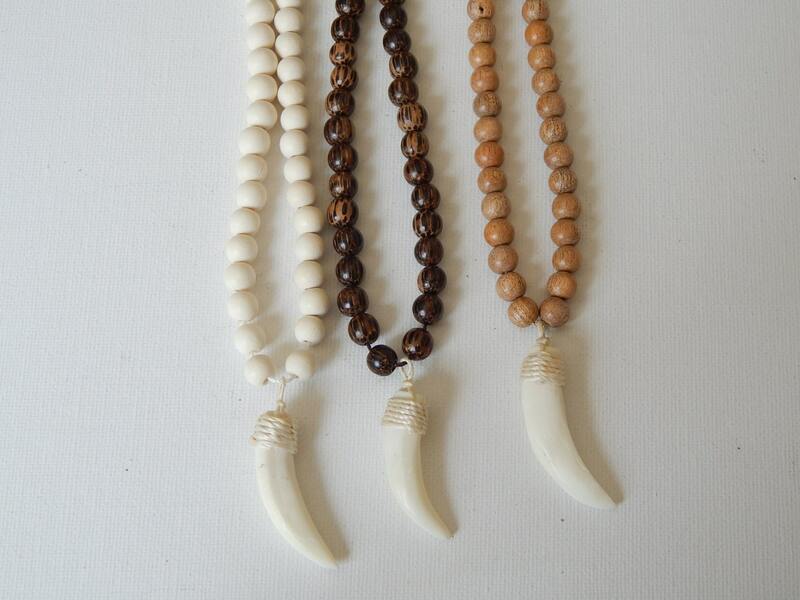 Tusk size will vary with each necklace.